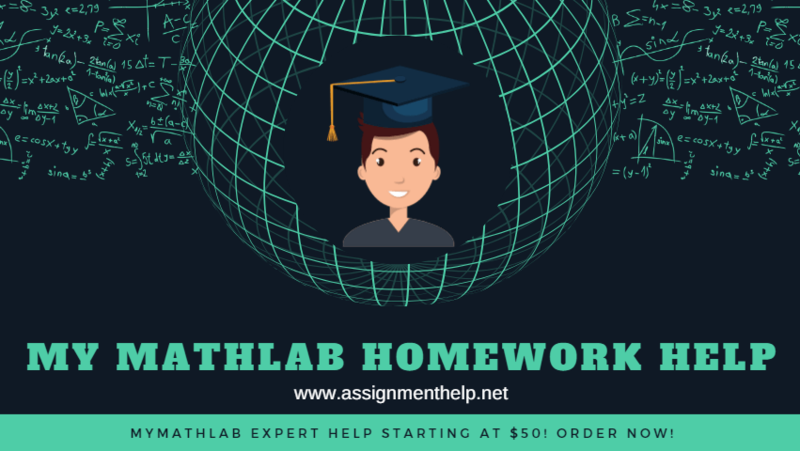 Assignmenthelp.net offers MyMathLab homework help service to students who want help in completing their MyMathLab homework quizzes, MyMathLab tests, MyMathLab homework assignments. Whether you are stuck on just one question or you to understand an entire concept related to Calculus, Geometry, Algebra or Statistics, Assignmethelp.net offers you best online MyMathLab homework help service to help you complete your entire course and guarantees you a A or B grade- whether it is high school Mathematics Quiz or a postgraduate level complex Math homework assignment, tough questions from Calculus or complex mind-boggling problems of Algebra, we can help you with them all. Get a Free Quote for help with your MyMathLab homework. Contact us now!